When the Greek army of Alexander the Great invaded the valley of the Indus river in the fourth century BC, it was wholly unaware that this region of northwest India had once been the centre of a civilization worthy of comparison with those of ancient Egypt and Mesopotamia. 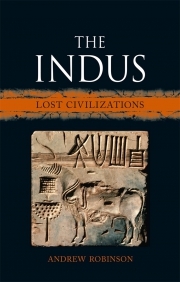 The Indus civilization flourished for half a millennium from about 2600 to 1900 BC, when it mysteriously declined and vanished from view. It remained invisible for almost four thousand years, until its ruins were discovered in the 1920s by British and Indian archaeologists. Today, after almost a century of excavation, it is regarded as the beginning of Indian civilization and possibly the origin of Hinduism. More than a thousand Indus settlements covered at least 800,000 square kilometres of what is now Pakistan and India: it was the most extensive urban culture of its age, with a vigorous maritime export trade to the Persian Gulf and cities such as Ur. The two largest Indus cities, Harappa and Mohenjo-daro – a UNESCO World Heritage Site – boasted street planning and house drainage worthy of the twentieth century AD, including the world’s first toilets, along with complex stone weights, finely drilled gemstone necklaces and an exquisite part-pictographic writing system, which was carved on seal stones and has defied numerous attempts at decipherment. Astonishingly, there is no evidence for armies or warfare. ‘Andrew Robinson creates a brilliant portrait of one of the worlds most enigmatic early civilizations. In doing so, he crosses the boundaries between different academic disciplines with effortless panache and high learning. 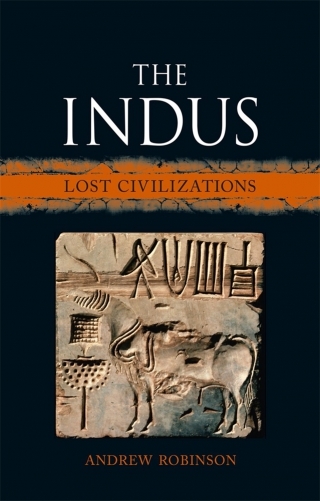 This succinct account of the Indus civilization, its script, religious beliefs, and its complex inheritance, places a vigorous, urban society in its rightful historical context. Everyone interested in ancient civilizations should read this eloquent, closely argued biography (it is nothing less) that brings the Indus people in from the historical shadows.’ — Brian Fagan, Emeritus Professor of Anthropology, University of California, Santa Barbara, and author of The Great Warming and Elixir: A History of Water and Humankind. Andrew Robinson is the author of some 25 books on the arts and sciences, and writes for Current World Archaeology, The Lancet, Nature and Science. His recent books include Lost Languages: The Enigma of the World’s Undeciphered Scripts (2009), Earthquake: Nature and Culture (Reaktion, 2012) and India: A Short History (2014). He has been a Visiting Fellow at the University of Cambridge and is a Fellow of the Royal Asiatic Society. 11. Indus Origins of Hinduism?